Questions for the Bug Man? Dear Bug Man, At least once a month I have these tiny ants running around my kitchen counter and bathroom sink. I chase them from room to room. I spray and kill them but they keep coming back. Is there anything that can be done to prevent this problem from reoccurring over and over? Yes there is. Have you ever heard the expression”You can catch more flies with honey than you can with vinegar.” You need to bait these ants, not spray them. Bait is an Attractant with a slow acting ingredient that will eliminate the colony. But for this to work, the bait needs to reach the well protected queen. When you spray these ants, 3 things will occur. When the workers do not return with food for the colony, the queen will within 12-14 days lay eggs to create more workers to once again go searching for food, hence the reoccurring problem. First we need to identify the ant and its preference for nourishment. (grease or sweet) Properly applying the correct bait will be obvious once you see the ants start to feed. Most ants are part of a social environment where the workers, soldiers and the queen all feed on the same food (bait). 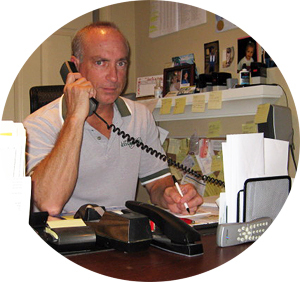 Once this process occurs, your infestation and reoccurring problem will no longer exist. Remember the Slogan Don’t Spray—-Bait. It does not rhyme, but it works! 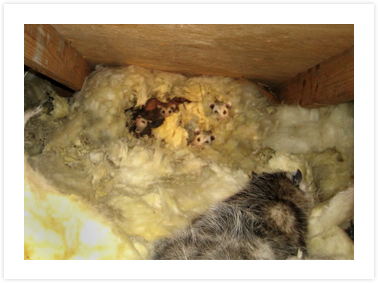 Is there anything we can do to deter rodents from nesting around our home? Eliminate Food Sources. Remove Defective Refuse cans, Provide a sufficient amount of refuse cans. A 32 gal. container with a tight fitting lid is best. DO NOT LITTER. Be sure garbage in secure container and not on the ground. Drain and wrap garbage before disposing. Remove pet food immediately and clean up animal waste. Eliminate Water. Keep all drains covered and secure. Make sure hoses are not leaking. Get rid of any standing water in yard. Fix any defective pipes or drains. Eliminate Rodent Hiding Places. Get rid of junk, lumber, old boxes, discarded appliances, chairs or bedding on the ground or under porches. Remove abandoned vehicles.